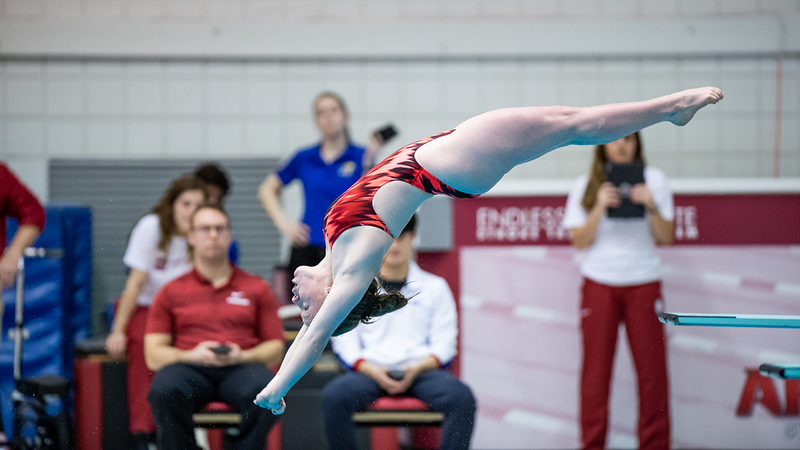 MISSION VIEJO, Calif.- Razorbacks sophomores Maha Amer and Brooke Schultz concluded competition at the FINA Grand Prix this weekend, with Schultz taking second in the 3-meter synchro. Amer competed in two events on the final day of competition, three overall. The Cairo, Egypt, native finished in eighth-place in the 3-meter synchro with partner Habiba Shoeib, recording a 239.67. She finished in sixth-place in the 3-meter mixed synchro, earning a score of 257.52 with partner Mohab Ishak. Schultz competed in just one event during the competition, taking silver in the 3-meter synchro. The Fayetteville, Ark., native recorded a 290.40 with partner Murphy Bromberg, just 3.99 points off a first-place finish.